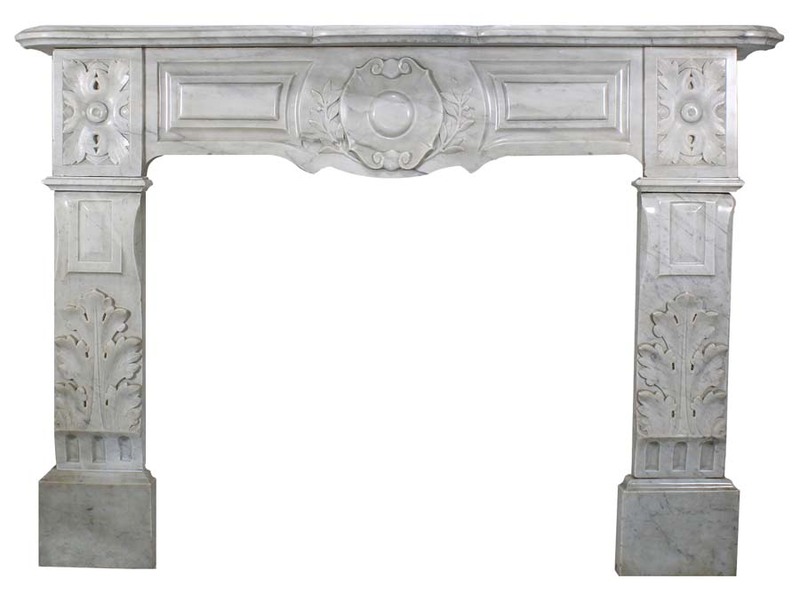 A Fine French 19th Century Louis XVI Style Carved White Marble Fireplace Mantel Surround. 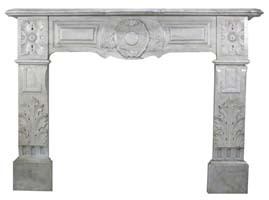 The apron carved with with a shield surmounted with laurels, the side panels carved floral rosettes and acanthus leaves. Circa: Paris,1880.